Our nursing program is growing! Melanie D. Logue, PhD, DNP, APRN, CFNP, FAANP, recently joined USAHS as the new Senior Family Nurse Practitioner Program Coordinator. Driven by a deep-seated passion for empowerment and guided by her extensive clinical knowledge, Dr. Logue is eager to share her expertise with students and continue to build the nursing program. She brings a diverse background and wealth of experience to the role. Dr. Logue works to prevent disability and improve health outcomes in vulnerable populations. Her research aims to empower older adults with chronic illnesses. She innovates how to apply health information technologies (HIT) to prevent disability and encourage self-management. She’s also a model innovator and will inspire students to test their ideas. During her graduate study, she worked as a research associate on a National Library of Medicine (NIH) funded project with her mentor, Dr. Judith A. Effken. Their published work, “DyNADS: A Dynamic Network Analysis Decision Support Tool for Nurse Managers,” proposes the use of computational modeling as a valuable method to improve nursing units’ safety and quality outcomes. The tool supports nurse managers as they assess the organizational health of their patient care units and then engage in strategic planning through automated analysis techniques. Dr. Logue earned her dual PhD/DNP in Nursing Science from the University of Arizona in 2011. She fulfilled her two-year appointment at the University of Arizona as a Clinical Outcomes and Comparative Effectiveness Research (COCER) Academic Fellow in the Health Outcomes and Practice Effectiveness (HOPE) Research Center, and was a Clinical Assistant Professor. Dr. Logue is a former president and active member of the American Nurses Association, as well as a member of the American Academy of Nurse Practitioners, the Arizona Nurses Association Political Action Committee, and Sigma Theta Tau Nu Epsilon Chapter. 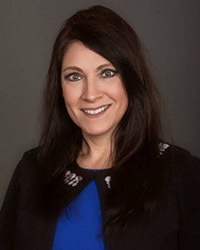 She represented her native state of Arizona as Fellow of the American Academy of Nurse Practitioners and served on the Arizona State Board of Nursing for two years. Prior to joining USAHS, she was Dean of the College of Nursing and Health Science Professions at Grand Canyon University in Phoenix, AZ. What’s next for Dr. Logue? She plans to continue to pair her expertise and experience to invest in students and help them succeed at USAHS and beyond.